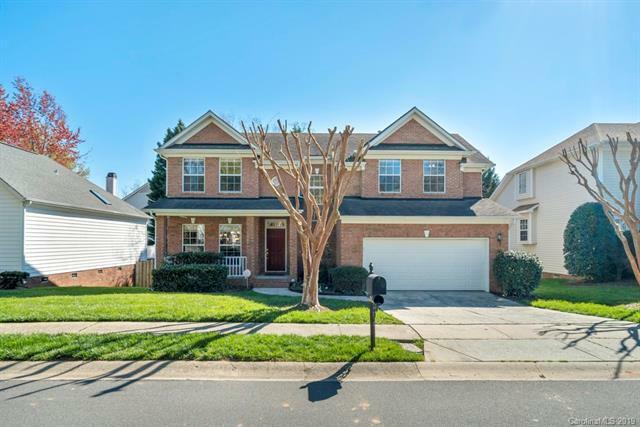 Welcome home to this beautiful two-story in desirable Thornhill in the heart of Ballantyne! This home has 4 bedrooms & 3 full baths! So open and bright from the minute you walk in! High ceilings in the large great room with a gas fireplace. Hardwood floors on main level. Kitchen has white cabinets, granite counter tops, a large island, & SS appliances. One bedroom & one full bath on the main level. Large master bedroom up with a huge walk-in closet. Whirlpool tub, separate shower, & dual vanities in MB. Nice deck & fenced in back yard. So close to Stonecrest, Blakeney, Waverly & 485. Award winning schools! Neighborhood amenities include tennis, trails, pool, clubhouse and playground. This one won't last long! One Choice Home Warranty Included!